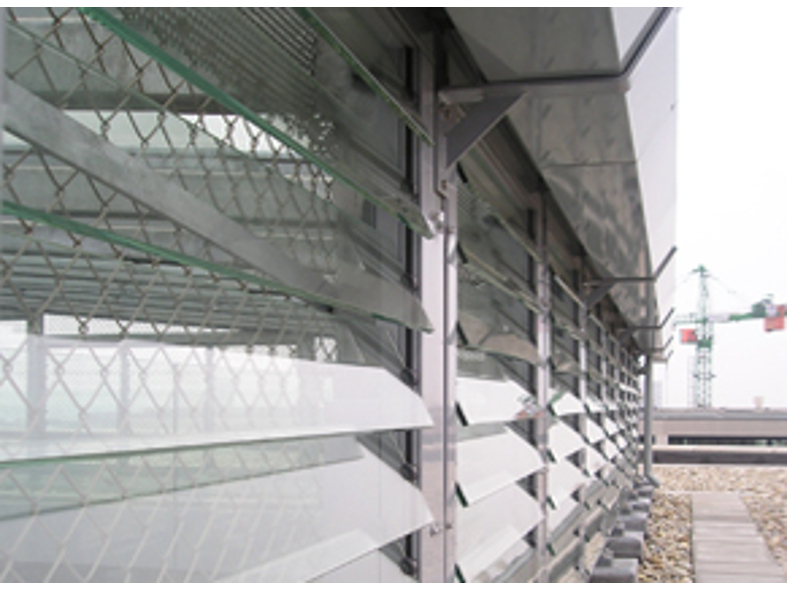 The Lareine Estra is a translucent louvered system that is applied vertically and is suitable for both day-to-day ventilation and smoke ventilation. 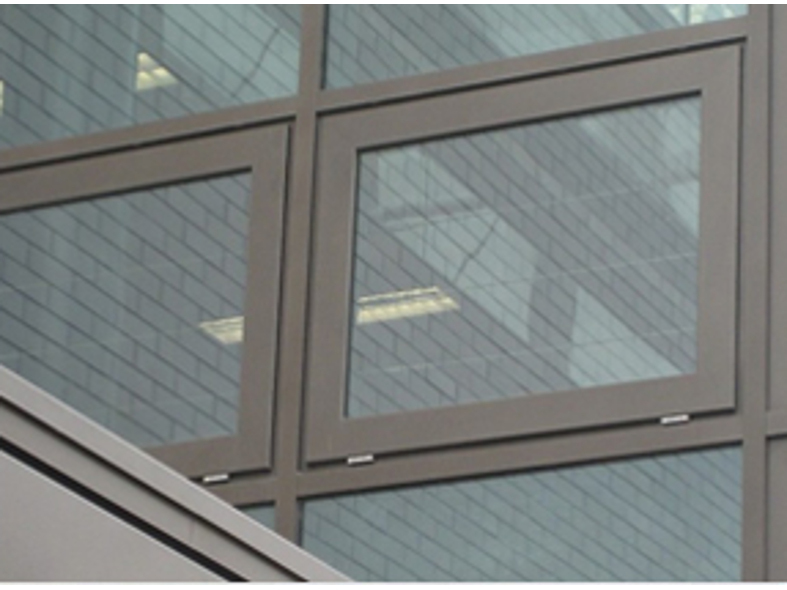 The attractive and sleek appearance of Estra makes it ideal for applications with large areas of vertical glazing. The Estra system has thermally insulated profile sections and is available with both insulated glass and single glazed glass. Atria, facades, shopping centres, industrial buildings and offices. The Lareine Inova is a stylish natural ventilation window that is suitable for natural, day-to-day ventilation and for smoke ventilation. With its slim profile it's ideal for skylight or facade applications, where it provides an integrated, aesthetically superior appearance. The actuators for the frame have been completely embedded in the structure. This window provides natural ventilation for both smoke and hot air. 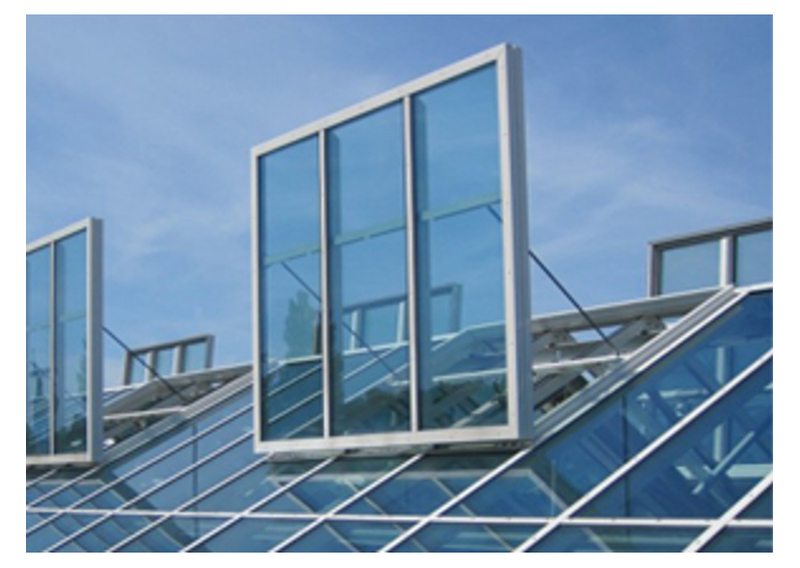 Thanks to its attractive external design the Lareine Ventria is often integrated into glazed facades and glazed roofs for air feed and air extraction. The Ventria is available in both a thermally insulated and standard insulated/uninsulated design and is suitable for all types of glass up to a thickness of 40 mm. From industrial to decorative glazed roof constructions.